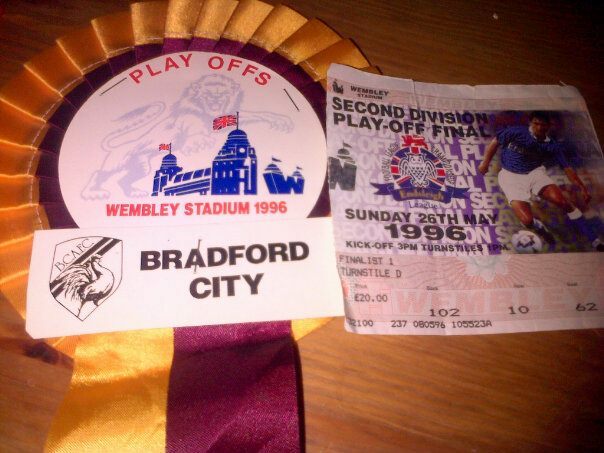 When Bradford City walk out onto the field for the play off semi final first leg against Millwall on Sunday, it will be 20 years ago to the exact day since the Bantams produced one of the most incredible victories in their history. 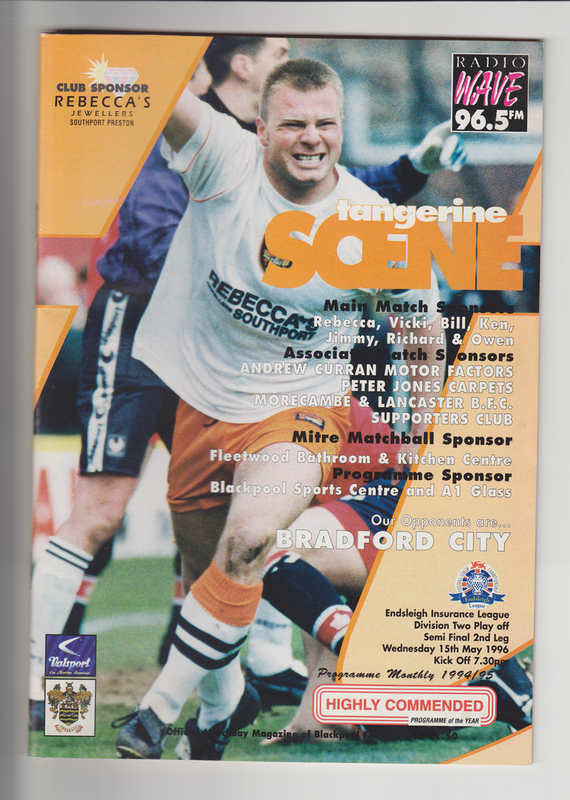 They had lost a third tier play off semi final first leg at home to Blackpool a few days earlier, but turned it around at Bloomfield Road in spectacular style. In an extract from my new book – Reinventing Bradford City – here is the story of that incredible night, told with the help of people who were there to witness it first hand. Chris Kamara sunk into yet another pint, as he sat slumped in the corner of a Wakefield pub with his chief scout Andy Smith, the weight of the world upon his shoulders. Sentiments shared by Richmond, who in the 2006 book ‘The Pain and the Glory’ stated, “Chris came into the boardroom close to tears, and told me ‘I’m sorry, I’ve made a mess of it, we’ve blown it’. I told him that in the second leg our tactics were easy. We need three goals. We’ve nothing to lose. Go for it.” Back in the O’Donohue’s pub in Wakefield, an epiphany occurred at around 9pm. As Kamara bemoaned how predictable his team had been in knocking the ball long towards Ormondroyd, he realised that the best way to beat Blackpool was to ensure that his players only crossed the ball from the last third of the pitch, rather than deep – and so would remove the temptation to target Ormondroyd, by leaving him out of the side. On the night City were backed by a reasonably decent support of 1,482 fans – but many others had opted not to make the journey to the coast, as they believed the tie was over. Even those who did go surely travelled in hope rather than with expectation. The away following included Joanne Golton who, amazingly, made the 331-mile journey up from Southampton for this midweek game. She explained to me, “I didn’t go to the home game. I couldn’t get up from Southampton for some reason. And so when we lost, I thought to myself ‘I need to be there for the away leg, my team needs me!’ I drove up from Southampton to get to the away leg in a Morris Minor! I got back to Bradford and got a lift over to Blackpool with my dad. That faith looked well-judged when City started the game on the front foot. An early shot from Duxbury trickled wide, but set the tone. Carl Shutt and 20-year-old midfielder Des Hamilton both passed up good opportunities to open the scoring, as Blackpool seemed to be caught in a dilemma of whether to defend their considerable advantage, or go out to attack once more. The first goal was always going to be vital, and it came six minutes before half time – for the visitors. A long throw in from Duxbury was flicked on by Mohan, and there was Shutt with an opportunity on the edge of the six-yard box that he gleefully buried. Blackpool 0 Bradford City 1. Game on. In the second half City continued to knock loudly on the door. They had the momentum, they smelt blood. Kamara’s gameplan was working, with wingers Andy Kiwomya and Des Hamilton stretching the play, and central midfielders Duxbury and Graham Mitchell dominating the middle of the park. Following the instructions beautifully, Kiwomya went on a jinking run midway through the second half that resulted in him getting free of his full back, Marvin Bryan, and into the area, with team mates charging into the box. Kiwomya timed it all wonderfully, sending a low pass into the path of Hamilton in the middle of the box. Hamilton showed the composure of a veteran to steer the ball into the bottom corner. 2-0 to Bradford City, 2-2 on aggregate. At the opposite end of Bloomfield Road, the City fans went wild on the uncovered terrace. Amazingly Blackpool hit the woodwork for a second time just after. Andy Preece was played through one-on-one with Gould and dinked the ball over the City goalkeeper, only for it to bounce down onto the top of the crossbar and out for a goal kick. Blackpool were falling to pieces, and the fine margins kept going against them. Sam Allardyce must have been praying for the full time whistle and a chance to calm his players down prior to extra time. City were in no mood to left their hosts off the hook quite so easily. With eleven minutes to go, they completed the job. After the home side gifted the Bantams possession all too easily, Mark Stallard brought the ball forwards just inside the Blackpool half, before spraying it out wide to the flying Kiwomya. Bryan cleared for a throw in, which enabled Wayne Jacobs to get forward in support of the attack. The ball was worked to the City left back, who sent over a hanging cross from just past Kamara’s imaginary line. Hamilton tried to head it towards goal, as keeper Eric Nixon rushed out to try and claim it, and the ball rolled untidily into the path of an unmarked Mark Stallard, who fired a low shot past a sea of defenders and beyond the scrambling Nixon, and into the bottom corner. Blackpool 0 Bradford City 3. On the pitch, the City players all piled on top of Stallard – who would later tell the Telegraph & Argus, “This is easily the proudest moment of my career.” On the City bench, Kamara and his coaching staff punched the air and hugged each other. On the away terrace, absolute pandemonium. The impossible had been achieved. The miracle was about to happen. 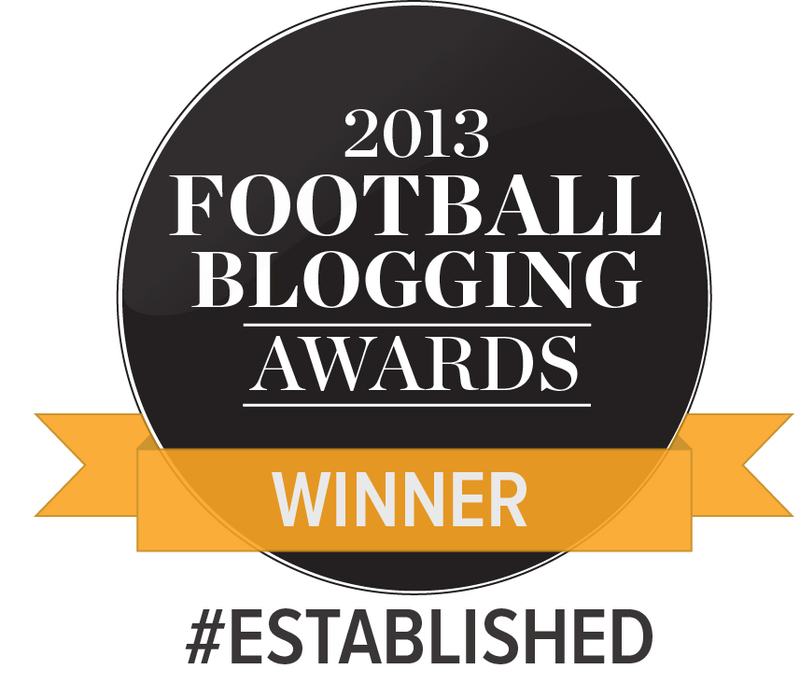 Eat your heart out, Roy of the Rovers. 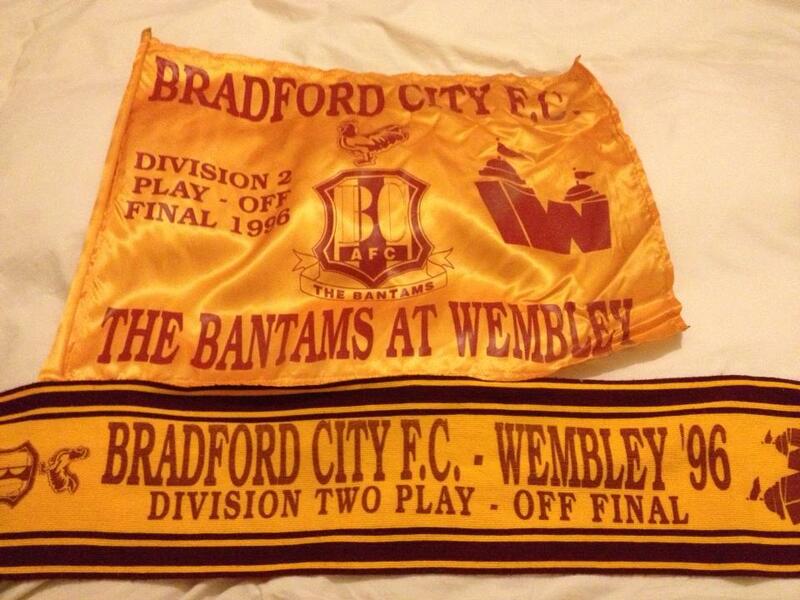 It was the first time in Bradford City’s history that the club would be playing at Wembley stadium. The moment has been immortalised by the local radio commentator for Pennine Radio (later renamed Pulse), Chris Cooper, screaming over the airwaves “The Blackpool tower is a mile down the road, but the Twin Towers beckon for City now”. Joanne Golton recalled of a night that she ranks as her favourite supporting the Bantams, “When the final whistle went some chap picked me up. Everyone was hugging everybody else. There were loads of cheering and shouting. It was incredible. Inside the dressing room, Kamara and his players celebrated one of the most amazing results in the history of the club. Unbeknown to them, in the home dressing room, Blackpool manager Sam Allardyce had forced his players to sit in silence and listen to the jubilant noises next door. Outside Bloomfield Road, angry Blackpool fans gathered to call for Allardyce’s head. They got their way, as he was sacked shortly after the game. A tough lesson, but one that Allardyce clearly used to good effect, as he has subsequently gone on to achieve notable success as a Premier League manager. This 3,000 word extract is taken from Reinventing Bradford City, published by BantamsPast in April. 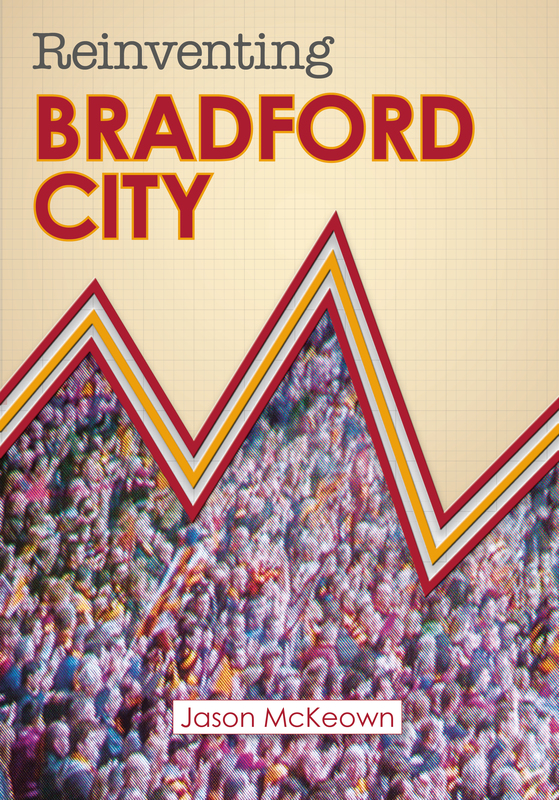 The full book is 135,000 words in total and tells the inside story of 12 of the biggest Bradford City matches from the past 30 years. Reinventing Bradford City is now available to buy from Amazon and Bantams Banter – more detailshere, and the 12 featured games here.